Special Springs, one of the most qualified manufacturer of die springs and nitrogen cylinders, further develops its product and service range with new devices for Industry 4.0. The opportunity to present them will be the stage of the EuroBLECH 2018 fair. The constant commitment to innovation of the Italian company has produced over the years, among others, the three safety features for nitrogen cylinders, called OPAS – Over Pressure Active Safety, USAS – Uncontrolled Speed Active Safety and OSAS – Over Stroke Active Safety. Another innovation is the new painting line for electrophoretic coating E-coat for helical springs. The new version of the DYBO 4.0 electrohydraulic booster is the result of the work of Special Springs technicians. This is a device for molds equipped with nitrogen cylinders that monitors the working pressures and communicates any fault in real time. The ability to restore on site the system pressure also allows, even in case of anomalies, to continue and finish the planned production. This avoids processing waste and expensive production stops. DYBO 4.0 is introduced with a modern and user friendly graphical interface and data collection and communication system. 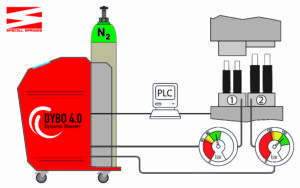 Next to the DYBO 4.0, Special Springs also presents the new pressure sensor for nitrogen cylinders, which allows the user to verify their internal pressure, without having to remove them from the mold and thus reducing the intervention and control timing. 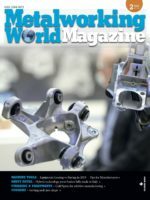 All this comes with the recognition of Special Springs as an innovative company that received various approvals by the most important players of the automotive industry.